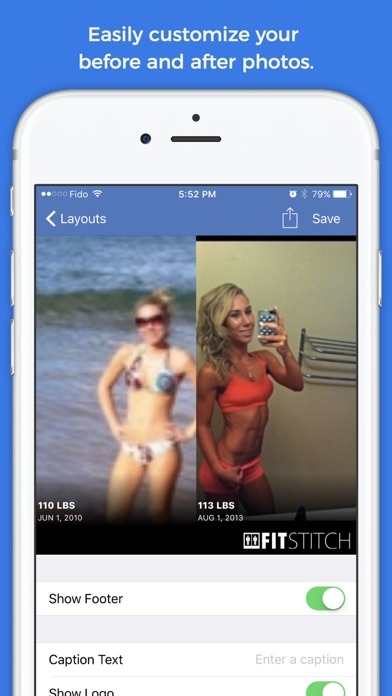 Fit-stitch makes awesome, customizable before & after pictures in a few taps. "This app is fantastic! 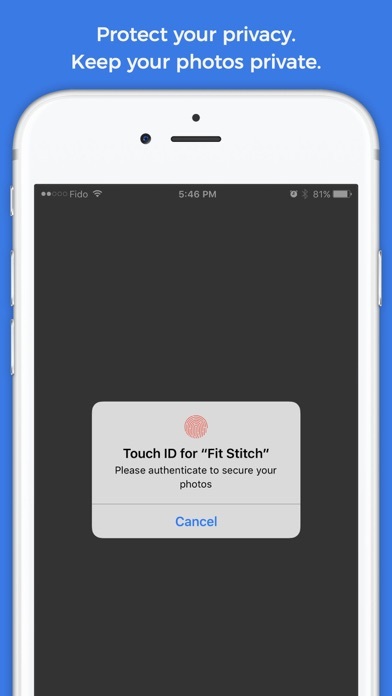 Track your progress, include a passcode to protect your pictures, it's private and the reminders are great!!!" "Perfect app!!! Love this app! Allows me to track my progress and see before and after pics!!! Then I can share with social media or friends through text message!! So simple to use!!!!" 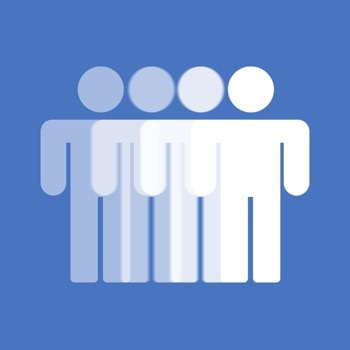 Start a collection of progress photos that stores your weight and date and use the reminder feature to stay on track. You probably think that measuring your weight and body fat is a good way to track your fitness progress but really those metrics can be misleading. You could be losing muscle and gaining fat or vice versa, how will you know by only looking at how your weight is changing? The most honest measurements you can take are pictures. Fit-stitch uses both of these measurements so you can see how you’re really progressing. 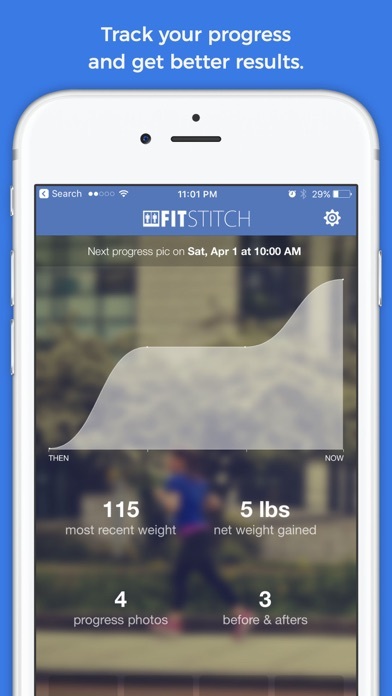 With Fit-Stitch, you can create Before & After pictures to capture your ongoing fitness transformation. Studies have shown that tracking your progress increases the success rate of fitness training, resulting in more people staying on track and achieving better results. 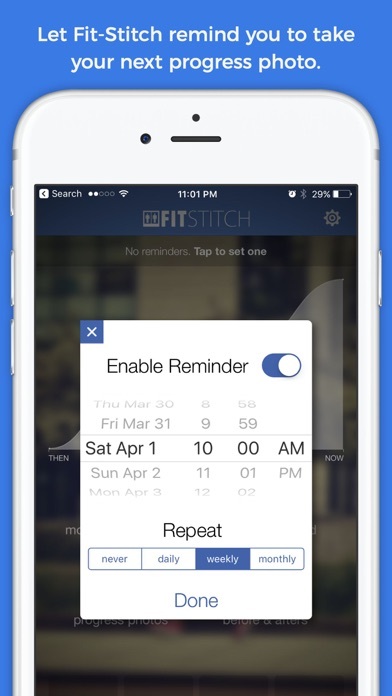 People are busy and usually forget to track their progress - that’s why Fit-stitch has built-in reminders.